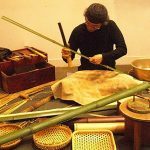 Takami Yasuhiro is a classically trained weaver who has dedicated his life to understanding bamboo, his material of choice. 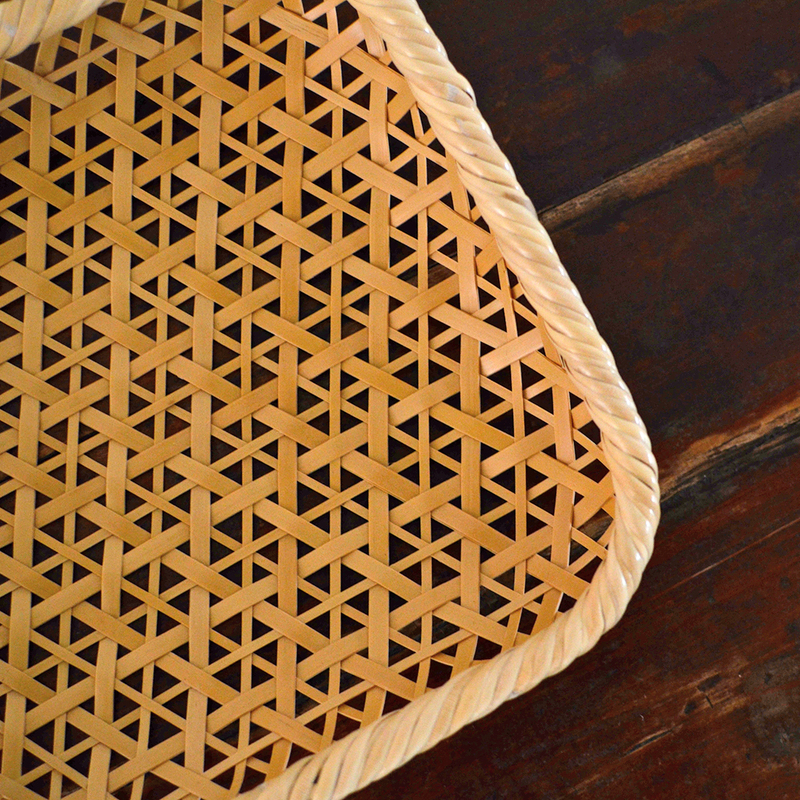 He admires its qualities of flexibility, strength, endurance, and the ability to mature gracefully. 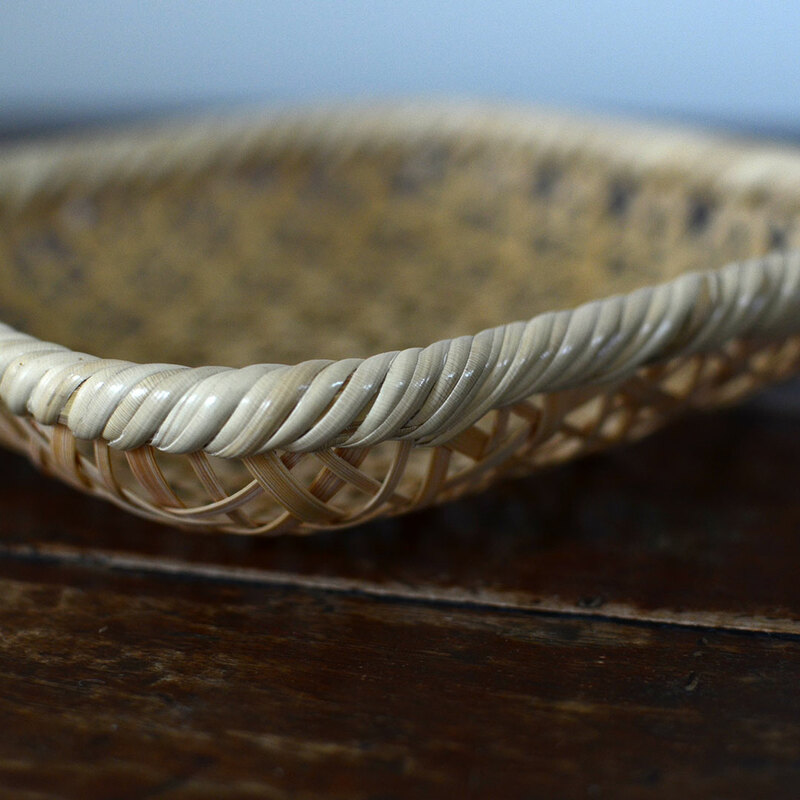 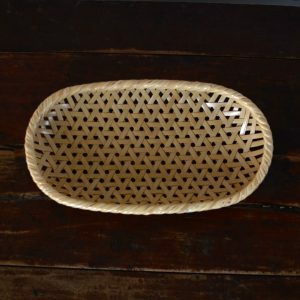 He uses traditional tools in his studio in Yufuin, Japan to carefully split the bamboo into even, beautiful pieces of splint which he then weaves into a variety of objects, most of them highly functional. 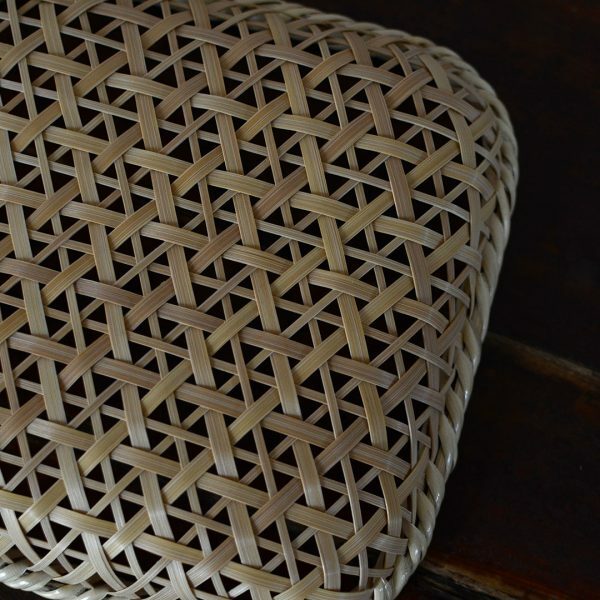 Takami-san’s specialty is his ability to incorporate the bamboo’s segment markings into his work. 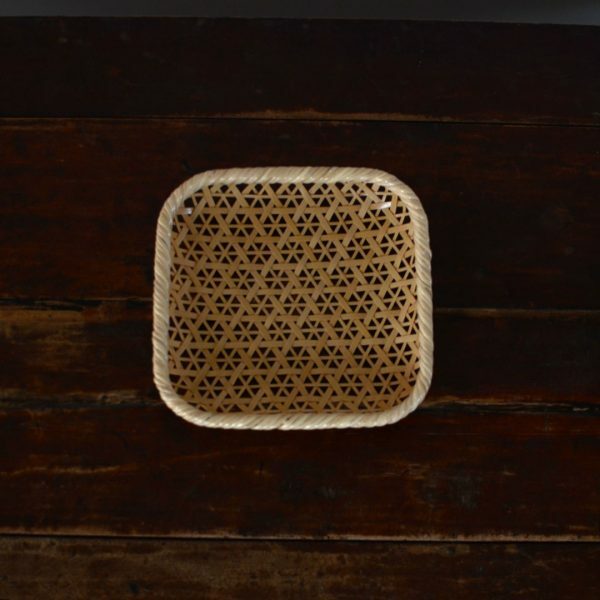 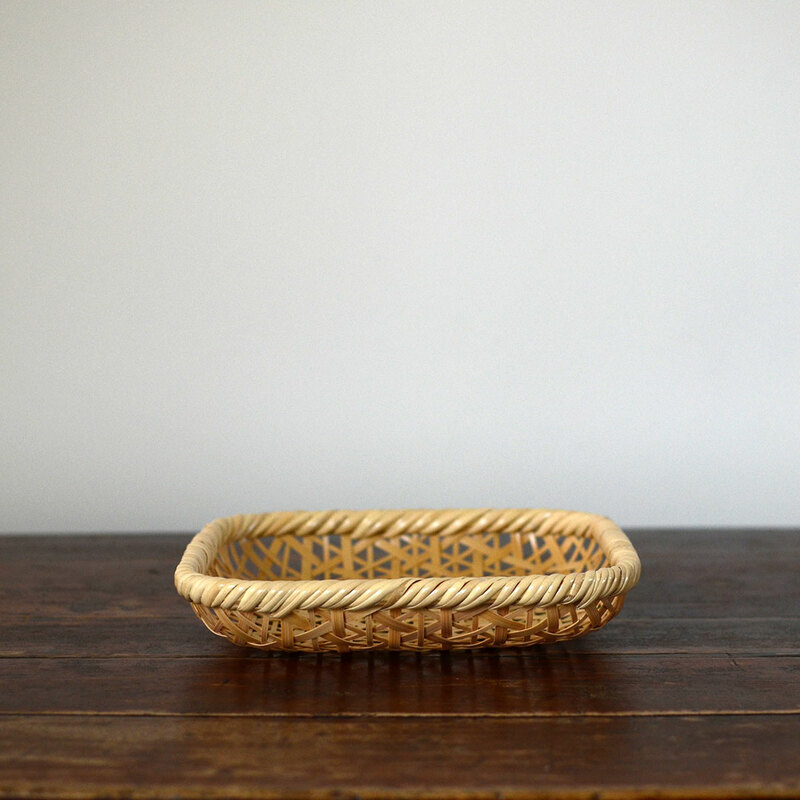 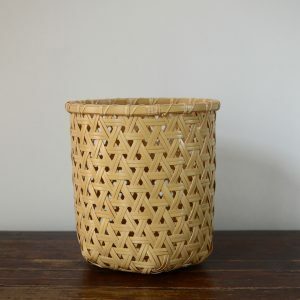 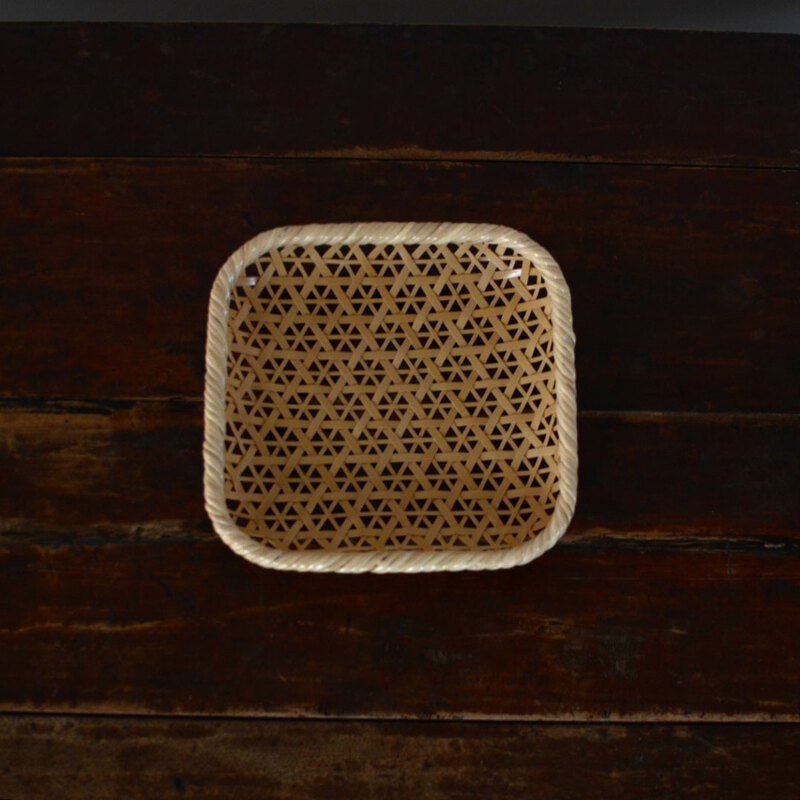 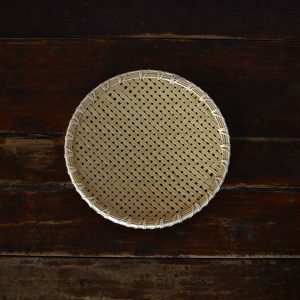 A close look at the basket’s exterior will show that they add texture and detail to this lovely piece.